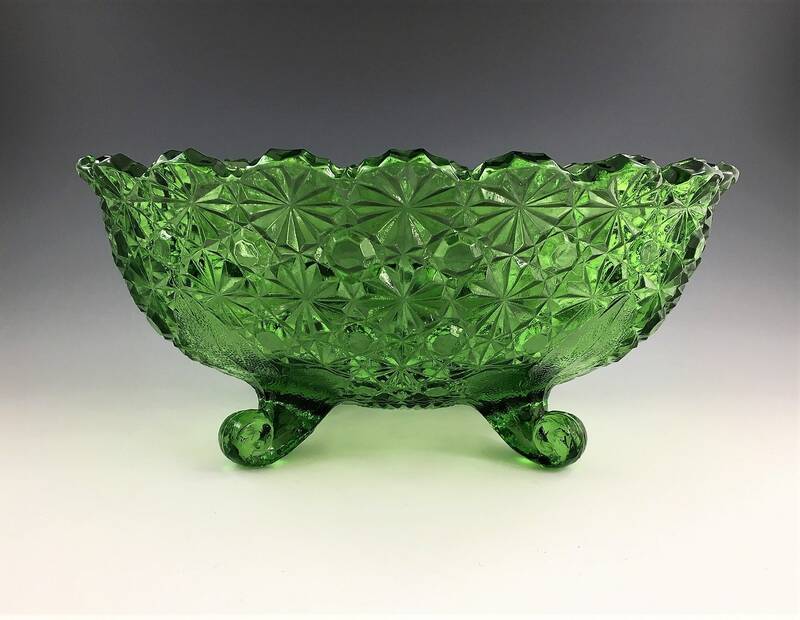 Featured is a stunning piece of vintage green glass from L.G. Wright. 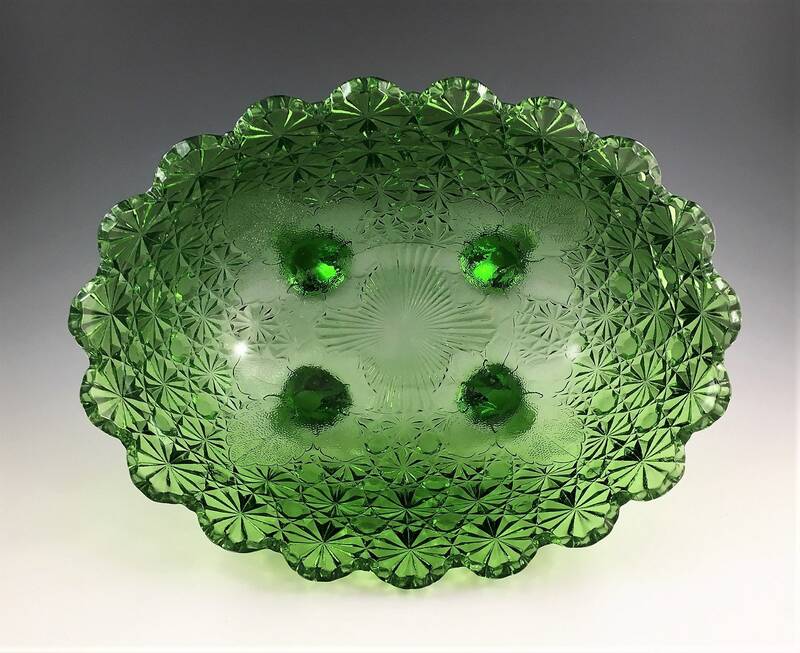 This large oval bowl is in the popular daisy and button pattern. 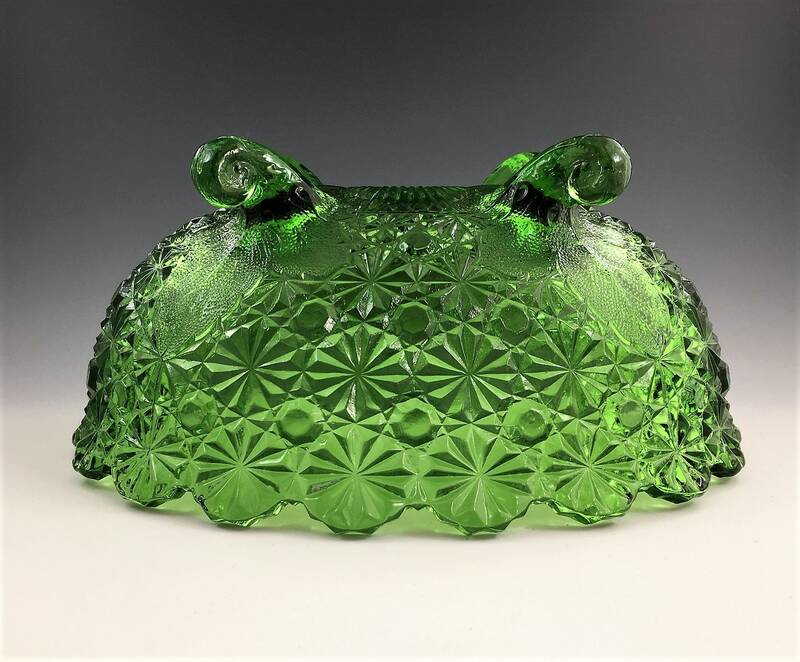 It is footed and it measures about 10 5/8 inches by 8 inches. It is about 4 3/4 inches deep. 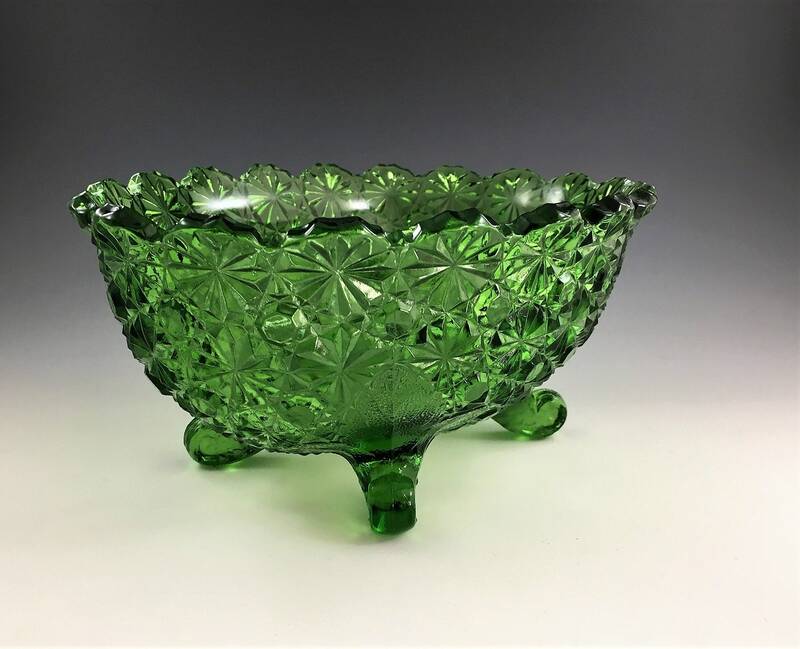 It is in excellent condition, free from any chips or cracks. 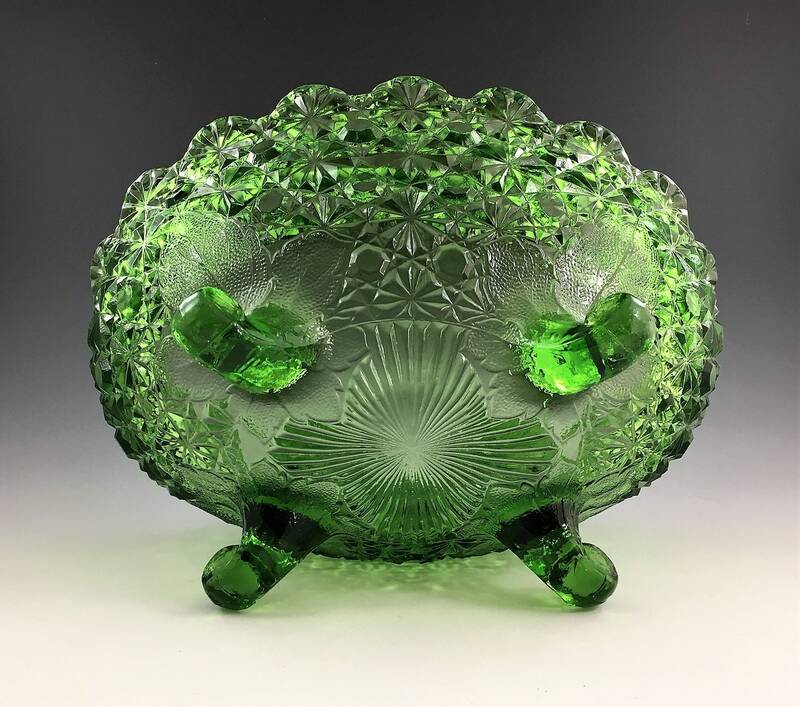 This is an amazing piece and would be a great addition to your vintage glass collection.